AMK understands the needs of businesses of every type and their necessity to conform to compliance regulations as stipulated by the financial services authorities. Apart from preparing our clients to be fully compliant with the rules set out by the Malta Financial Services Authority (MFSA) – even from before they secure their license – AMK’s team of lawyers will work to facilitate your bureaucratic load and thus safeguard your financial security. What is the role of the Compliance Officer? The Compliance Officer is be tasked with the regular monitoring and assessment of the measures that the License Holder has in place which ensure that they are in line with Standard License Conditions. In short, this means that they’re there to make sure you’re on the right legal track, and to help spot and deficiencies on this front, and help you correct them in good time. The Compliance Officer will also be there to advise the relevant Investment Services personnel to fall in line with the License Holder’s legal and regulatory obligations. How can the Compliance Officer help you? 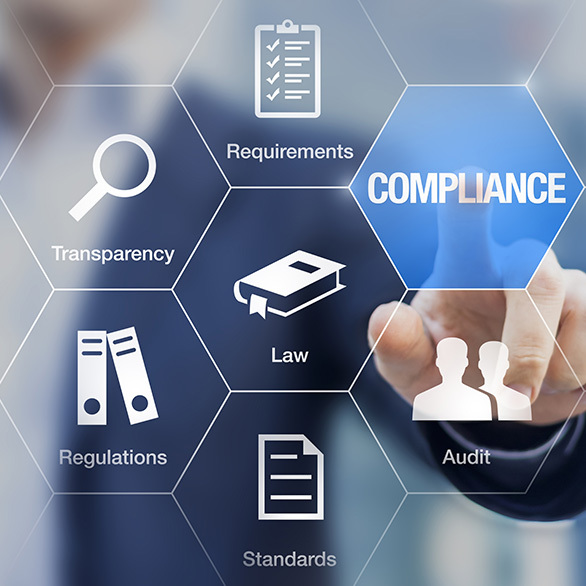 Compliance Officers are there to make sure the client is operating fully in line with all the regulations that define their sphere of operations. Officers come into play even before the company in question gets its Investment Services License. This is good news for clients who are eager to get their business off the ground, as it ensures they have a helping hand guiding them while they navigate through the rules and regulations necessary to secure their license. The Officer will also be there to advise on any feedback received from the Authority following its review process. One thing we can promise to our clients is the provision of the best legal talent to handle all matters related to compliance. While we value excellence at all levels, we also appreciate that an area like compliance is of special sensitivity for clients since, irrespective of the nature or size of their business, remaining fully in line with all regulations is a basic, common requirement. Our team of lawyers will ensure that the company is fully compliant at all times.